 Areas of the City of Austin not serviceable by Austin Resource Recovery. During the City's Employee Commute Reduction Program, Austin Resource Recovery partnered with the non-profit Movability Austin to create a Mobility Plan for the department in order to further reduce on peak commutes and emissions caused by single occupancy vehicles. One major strategy to achieve this goal was to implement a telework pilot. ARR developed a telework policy and provided training to all participating employees and their managers. The telework pilot ran from February 8, 2016, to May 6, 2016. During this time, measures were taken regarding employees' schedules and commute habits as well as miles driven and estimated MPG of their cars in order to calculate emissions. Surveys were also taken to gauge employee satisfaction and productivity associated with teleworking. After reviewing the data and results from the pilot, ARR Director Bob Gedert approved the telework pilot to make it an official departmental program in July, 2016.